Launch a special edition to help the last of the first-gen models vacate dealer lots, the car debuted in April of 1975. As its name clearly implies, the Manta Black Magic was only available in black, a color that was never offered on the regular Manta. To avoid ending up with a downsized replica of the Batmobile, the automaker added orange and yellow stripes on both sides of the car and on the front spoiler. The Manta’s stock 13-inch steel wheels were painted gloss black and fitted with a chrome outer ring. The front passengers were treated to Recaro bucket seats upholstered in black with orange and yellow inserts. Narrower than standard Manta seats, the Recaros added a sporty touch to the interior which was somewhat countered by a massive w123-like four-spoke steering wheel. 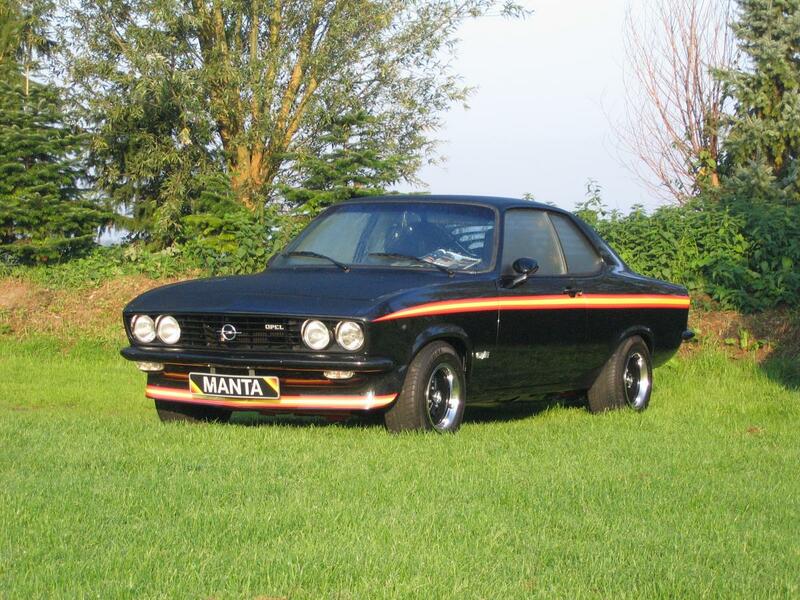 Opel did not apply any black magic under the hood and the car retained the regular Manta GT/E’s 1.9-liter four-cylinder engine. It came standard with a four-speed manual transmission but buyers could order it with a three-speed automatic. The mill made 105 horsepower and 112 lb-ft. of torque thanks in part to Bosch L-Jetronic electronic fuel injection system, sending the Manta from zero to 62 mph in 10.5 seconds and on to a top speed of 116 mph.